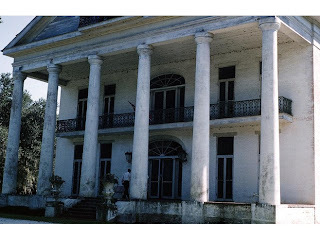 This recipe comes from the Bayou Cookbook, Oak-lawn Manor, Franklin, Louisiana. Bayou . The owner Thomas J Holmes wrote the cookbook in 1969. The home Oak-lawn Manor built in 1837 and sits on 35 acres. This recipe is a traditional creole recipe inspired by the heritage of bayou. 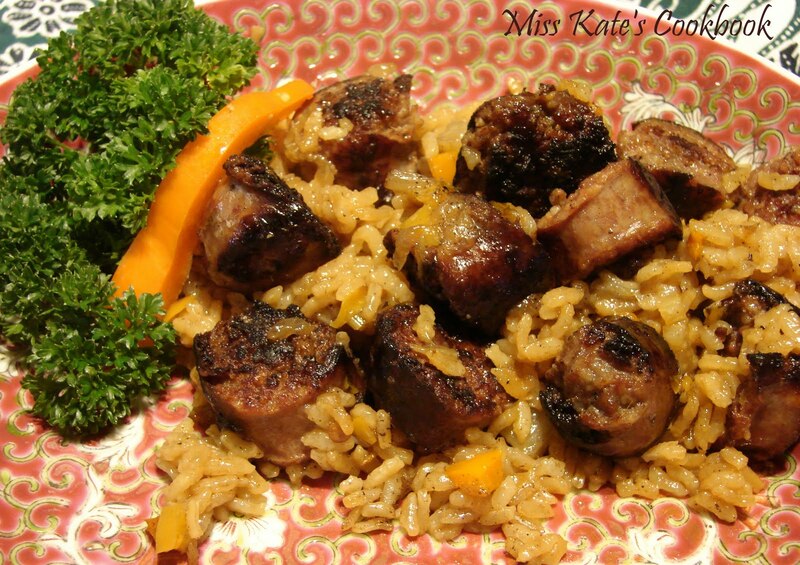 Just like the house it is rich in taste and flavor of the sausage and the rice is remarkable. 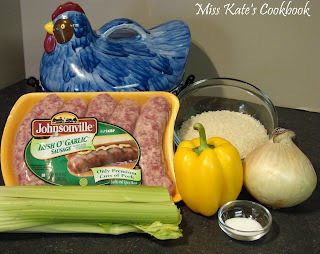 Fry sausage rounds, in own fat, over low heat, until slightly browned. Drain sausage on paper towels. Pour all fat from sausage from saucepan except 3 tablespoons. Saute' onion, celery, bell pepper in same pan until wilted, not brown. Add 2 cups water and one teaspoon of salt. Bring to a boil and cook for two minutes. 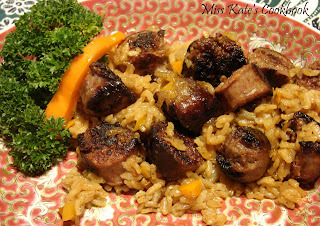 Remove from fire, add sausage and raw rice. Now pour all into a greased casserole with a tight lid, cover and bake at 350F for 45 minutes.